Hello Everyone! I’m very excited to be a new member of the Central Florida Ag News team! I wanted to tell you all a little about myself and my mission. When I started “Ag Time with Abby” on the radio I wanted to unite all local FFA chapters, get the community involved with their local chapter, bring awareness to agriculture, and spread the word of agricultural happenings in our area. Ag Time with Abby can be heard on 97 county’s Breakfast Club with Roger and Melissa on the first Friday of every month. I email all the ag teachers/FFA advisors in Polk County and find out what new things are going on in each chapter. This year, I would like to feature a different outstanding chapter each month as well in my article. I love spreading the word about something I’m passionate about, so shoot me an email if you feel like you have a story that needs to be heard! With the 2014-2015 school year starting up, I encourage each and every one of you to introduce someone new into the FFA and agricultural world. There is so much more that FFA has to offer than what meets the eye. If you aren’t an animal type of person, IT’S OKAY! FFA offers numerous speech contests, career development events (like food science, vet assisting, tractor operations, ag mechanics, dairy judging, vegetable judging, and citrus judging), and proficiency awards (such as for ag communications, ag education, ag services, beef production and forage production, service projects, and MORE)! What other organization do you know of that offers such a huge variety for its members? This past summer, I went on a leadership conference where we learned to “Do what we can, with what we have, where we are,” and this year’s theme for FFA is “Living to Serve.” When I came home I did a little research and found KidsPACK, a non-profit organization that sends backpacks “home” with homeless/food insecure elementary aged students in Polk County with enough food in the backpacks to last them through the weekend. In collaboration with KidsPACK, I created “Ag Time with Abby’s Project Fill ’Em Up.” During my research, I found out that my high school alone had 30 registered homeless students in it last year! Because of that, Project Fill ’Em Up focuses on high school aged students and will start at Haines City High School. Hunger is something each and every one of us can relate to, whether you skipped breakfast because you were running late and by lunch time you swear your stomach is going to eat you, or you haven’t eaten all day, you’re still hungry. Difference is, some of us know we will be eating at some point in the day when others don’t know when exactly their next meal will be. For more information on Project Fill ’Em Up, and how to be a sponsor or host a drive, please feel free to email me. In the meantime, while you’re stuck behind a tractor going 25 mph, don’t complain… THANK A FARMER! 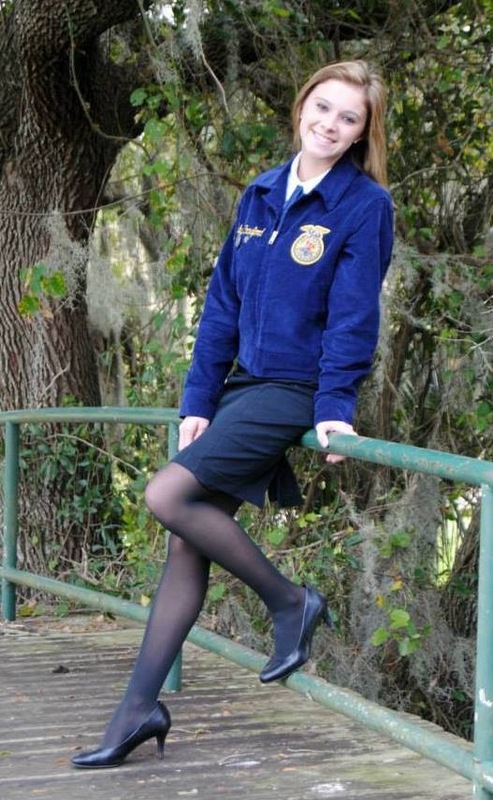 ABOUT THE AUTHOR: Abby is the president of the Haines City High School FFA chapter as well as the voice behind 97 Country’s segment, “Ag Time with Abby,” which airs the first Friday of every month during the Breakfast Club with Roger and Melissa. Abby is also the 2014 Polk County Farm Bureau Youth Speech Contest Winner. For questions, FFA news, or FFA story ideas, email Abby at abbigailreis@gmail.com.